On this page, you'll find everything you need to learn Mandarin Chinese from scratch. and recommended Chinese resources with you. Have you always wanted to learn Chinese? Or have you started learning it but found yourself running into a brick wall? If so, then this article is for you! But the truth is, it's not as hard as you think! ...and provide you with the exact steps I suggest you take when starting to learn the language. If you’ve ever asked yourself any of the following questions, then this article is for you. If you want to skip ahead, just click the section that interests you. What Are The Key Features Of Chinese? What Do I Need to Know About Chinese Culture? How Can I Get To Grips With The Chinese Writing System? What Pitfalls Do I Need To Avoid As A Beginner Chinese Learner? What’s The Best Way To Learn Chinese? What Are The Best Resources For Learning Chinese? I’ll start by telling you about the fundamental aspects of the Chinese language and its culture. Then I'll look at one of the major challenges faced by all beginner Chinese learners - the writing system. Finally, I’ll finish with my recommended action steps to so you know the best way to learn Chinese quickly. Learning Chinese requires a lot of hard work, but if you stick with it and practice regularly, it's an amazing tool that will become an invaluable part of your life. Because this post covers everything you need to know as a beginner, it’s quite long! I’ve also prepared a special PDF version of the post so you can download it and read it anywhere, anytime. With so many interesting foreign languages to learn, why choose Chinese? Let's consider some of the main reasons you might choose to learn Chinese and the benefits it brings. You probably know that China has the world’s largest population, but did you realise that over 15% of the people in the world speak Mandarin Chinese? With roughly 1.2 billion speakers, Chinese is one of the world's most widely spoken languages. It’s no exaggeration to say that as a Chinese learner, you’ll be able to find people to practice speaking with anywhere and everywhere. While most Chinese speakers reside in China, you can also find native speakers in Malaysia, Singapore, and Taiwan. And since there are millions of Chinese people living all over the world, you may even find native speakers in your local community. On my first day, I found myself stranded at a train station. I only knew beginner German and was relying on English as my main source of communication (because who doesn’t know English these days?) But I soon discovered most locals only spoke either Russian or German. It was getting late, my Airbnb host wasn’t picking up the phone, and the old lady at the information desk waved me away because she didn’t want to deal with me in English. I ended up finding a young Chinese student who I was able to ask for help in Chinese! Apparently, there are so many Chinese expats around the world nowadays that you can find them anywhere, including small, obscure, eastern German towns. Linda's story highlights that because there are so many Chinese speakers all over the world, you'll discover that you can use the language almost anywhere and it's quite easy to find people to practice speaking with. From investment banks and technology giants to retail stores in popular tourist destinations, companies everywhere are hiring employees who can speak Chinese to cater to the growing number of Chinese consumers and tourists. This is because, in the past decade, China has grown to become an economic powerhouse. Its GDP reached a staggering 11.2 trillion USD in 2016, and there are now more billionaires in China than in the United States! 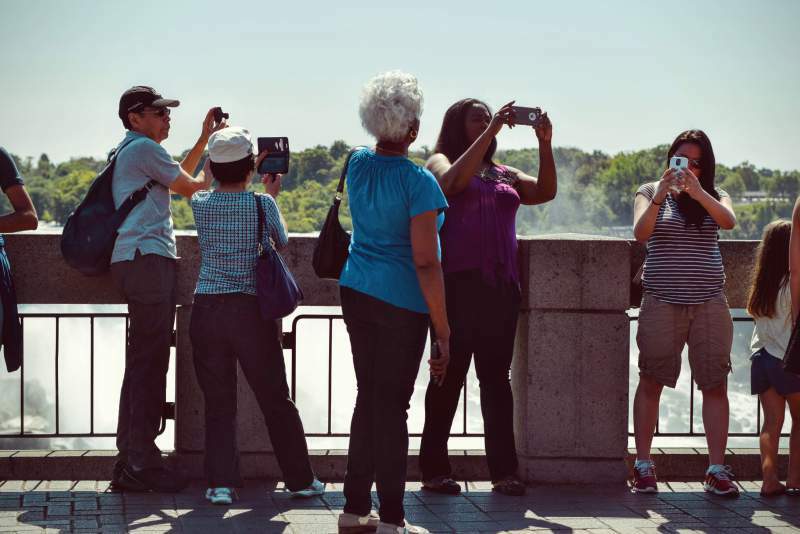 The knock on effect is that an expanding Chinese middle class are going on vacations abroad every year to relax, spend money, and experience new parts of the world. As an English speaker with fluent Chinese on your CV, the prospects of finding interesting, well-paid work are limitless. The career benefits of learning Chinese are enormous, but sometimes, it may not be the work benefits that attract you to start learning a foreign language! You learn because it is always an amazing feeling when you meet someone abroad (or in your own community) with whom you share a common language. It gives you a basis to form close friendships and an opportunity to learn about new cultures, perspectives, and different ways of life. 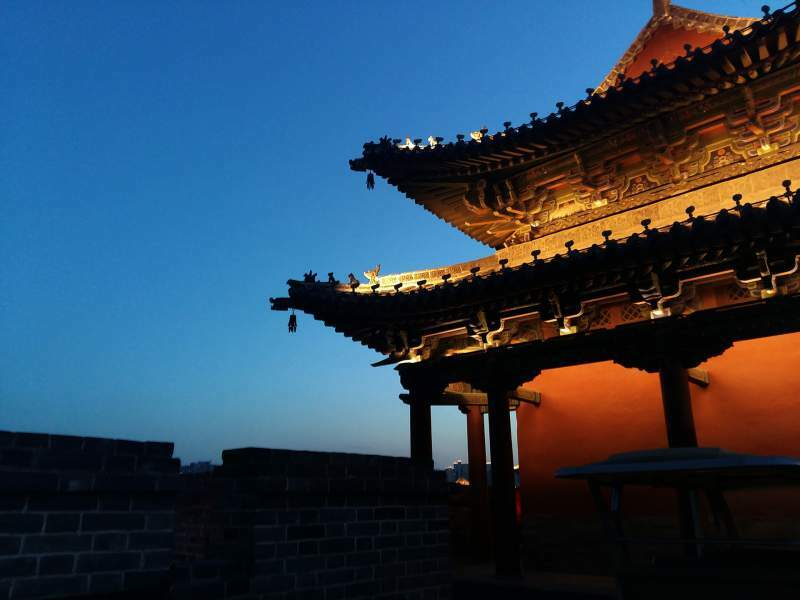 Chinese is a language that will open doors for you and allow you to connect with Chinese people and their culture on a much more personal and meaningful level. 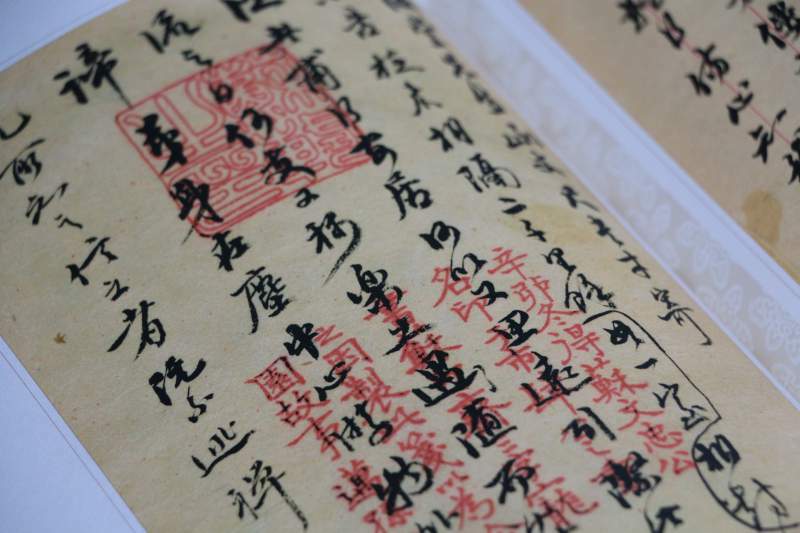 Chinese history dates back over 5000 years and has a rich culture of art, music and poetry. These things can be enjoyed much more authentically when you understand the Chinese language. Not only will you be able to better appreciate these works of art themselves, you'll also have access to texts written about them in Chinese which are not always translated into English. And besides, the Chinese characters themselves are works of art and apart from reading them, it can be a very satisfying feeling just learning to write them with your own hand. Can’t wait for the next episode of the Game of Thrones? Why not consider watching some Chinese historical dramas instead? China has a reputation for entertaining, high-quality TV shows and by learning the language you can enjoy these too. The 2015 drama, Nirvana In Fire is the latest show to capture the attention of the Chinese audience. The show is an epic tale about a young man seeking revenge for a conspiracy that labelled his family as traitors and has been hailed as the Chinese Game of Thrones. Jump back to the contents! This article is quite long! Why not download it as a PDF now so you can read it later? Click below to get your free copy. China is a vast country stretching from eastern Asia to the Middle East. 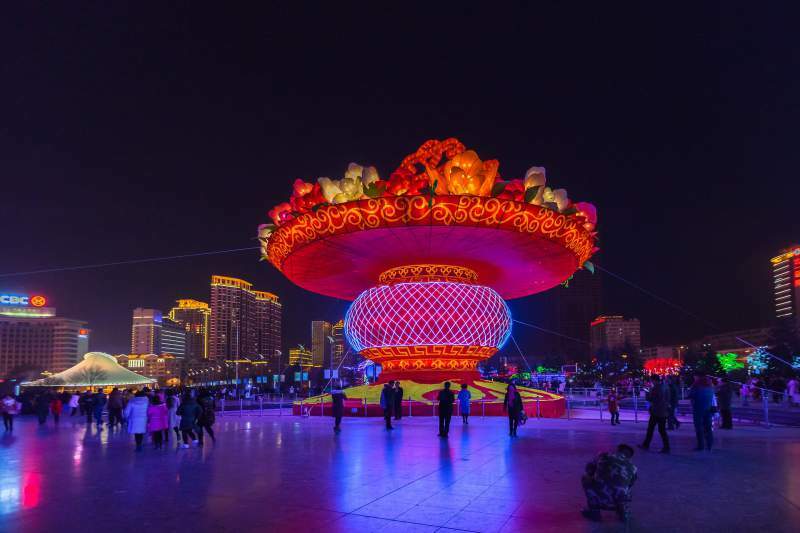 As a result, the Chinese culture as a collective is actually made up of cultural elements from various different regional groups, each with their own cultures and customs. As you set out to learn the Chinese language, it's vital to be familiar with the most important elements of Chinese culture. Knowing how, and why, certain things happen in China will only help you acquire the language. There is no national cuisine in China, nor is there a representative dish or recipe, mainly because the country is so large! 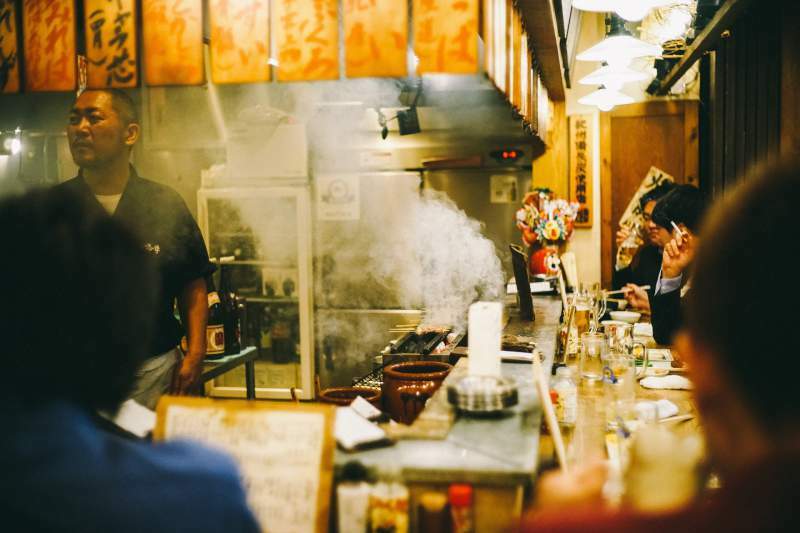 Instead, different regions have their own styles of cooking. Perhaps the most commonly known cuisine outside of China is Cantonese cuisine. Famous for its abundance of seafood and rice, as well as strong, sweet flavours, it is the native cuisine of Hong Kong and Guangdong province in southern China. Another popular style of Chinese cuisine is Sichuan, originating from the Sichuan province in southwest China. This cuisine can be identified by its hot and spicy tastes and the use of peppercorn that is found throughout the region. If you have a favourite Chinese restaurant, knowing Chinese can help you understand and appreciate what you are eating a little more. Believe it or not, some famous dishes have poetic-sounding Chinese names, which lose their meaning when translated into English. For example, a famous dish in Sichuan cuisine is 鱼香肉丝 (yú xiāng ròu sī). This name incorporates classic Chinese idioms which make the dish sound highly appetizing to Chinese speakers. However, when translated into English, the name of the dish becomes ‘fish-flavoured pork’, which hardly sounds enticing! Like many cultures with a long history, the Chinese have their own unique calendar which dates back many thousands of years. The calendar itself is based on phases of the moon, and each year is represented by a different animal of the Chinese zodiac. In fact, in China, the first day of the Gregorian calendar (January 1st) is not celebrated as much as the first day of the Chinese calendar. The date of the Chinese new year can fall anywhere from January 22 to February 19 on our Gregorian calendar depending on the year. The Chinese New Year is celebrated over a two-week period where everyone travels back to their hometowns to be with their families. Some common traditions include reunion dinners, visits to family and friends, and the giving out of red envelopes to the children of the family. These envelopes normally contain a small amount of money. The red colour of the envelope represents good luck and is a symbol to ward off evil spirits. Another popular Chinese holiday is 清明 (qīng míng), which is known as Tomb-Sweeping Day in English. It usually falls at the beginning of April and is a day for honouring one’s ancestors by offering them paper money and food. 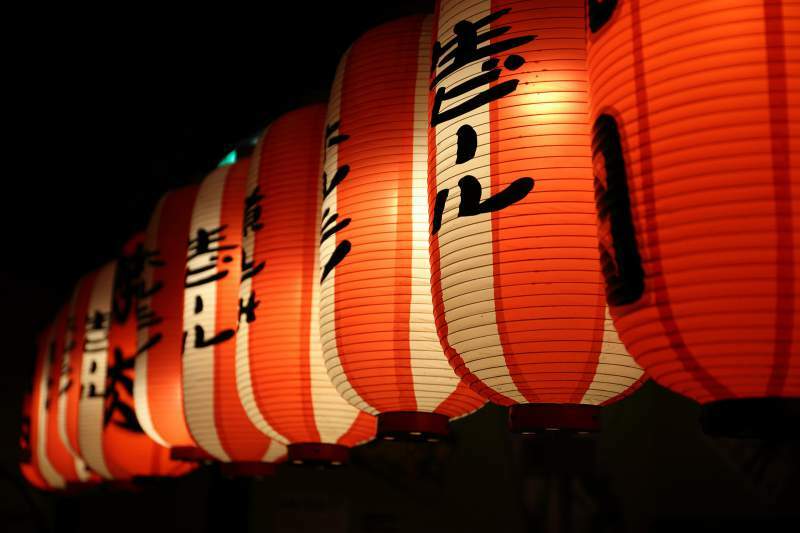 Knowing Chinese will help you appreciate the meaning and ritual of these Chinese holidays, as well as what they mean for the people who celebrate them. You’ll also learn a lot about the names of the holidays because in Chinese they are often named with special characters that are poetic and use beautiful visual imagery. As with the names of famous Chinese dishes, this beauty often gets lost in translation. For example, 清明 (qīng míng) literally translates into ‘pure and bright morning’, and does not mean tomb-sweeping day at all. Reading translated texts will never be the same as reading a work in its original language. This is because when you read translated texts, you are no longer getting a first-hand version of the story from the author. Instead, you are reading the story through the lens of the translator. Mastering Chinese will unlock a whole new world of literature to you - you’ll no longer have to rely on translations and you can appreciate these works in their original form. One collection of books many Chinese learners aspire to read are the Four Great Classical Novels of Chinese Literature - 四大名著 (sì dà míngzhù). 三国演义 (Sānguó Yǎnyì) - Romance of the Three Kingdoms is historical fiction based on the events around the end of the Han dynasty. It focuses on the lives of the rulers of the three rival kingdoms who constantly fought for superiority. 水浒传 (Shuǐhǔ Zhuàn) - Water Margin is another work of historical fiction, this time loosely based on the events during the end of the Song Dynasty. It features a large cast of characters and details their efforts fighting against their Mongol overlords. 西游记 (Xī Yóu Jì) - Journey to the West is perhaps the most popular of these novels. Loved by both adults and children alike and has been widely adapted into cartoons and live action movies for Chinese television. Set during the time of the Silk Road, it features four interesting characters, on a mission to head west towards India. 红楼梦 (Hónglóu Mèng) - Dream of the Red Chamber is the fourth classic of Chinese literature. It centres on the lives of a prominent Chinese clan during the Qing Dynasty. This novel is more drama than action and features a complex cast of characters who actually lived during the era and are historically accurate. Chinese has the unfortunate reputation for being one of the hardest foreign languages to learn. However, thanks to modern technology and simplification of the characters, learning Chinese is not as hard as you might think. A lot of what makes Chinese intimidating for learners is that it uses a different writing system and has less common vocabulary than most European languages. But that doesn’t necessarily make it harder; just different. In fact, you only need to learn around 2000 characters for basic fluency. Let’s say you were to memorize 20 characters per week. You’d have mastered all the characters you need for basic fluency within two years. That doesn't sound quite so intimidating, does it? Let’s look at some common myths about learning Chinese that are simply not true to see why this beautiful language is easier to learn than it seems. 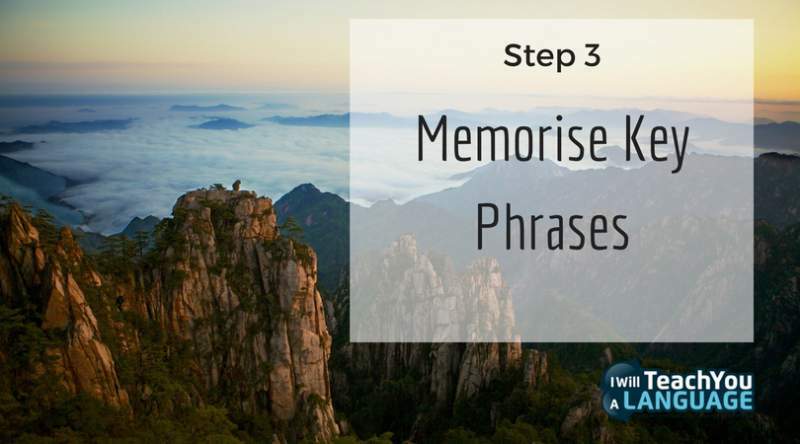 Of, course, learning Chinese requires some memorization - but you don’t actually need to memorise as much as you might think. And when you do, there are much more effective and enjoyable memory techniques you can use than the rote memorization method you used in school. Because Chinese has so many different characters, mastering written Chinese can seem like an impossible task. However, you’ll find that a lot of Chinese characters are actually ‘built’ from a set of around 200 simpler characters. As you can see, the first character in 'forest' is ‘森’ (sēn), which is simply three ‘木 (mù)' characters stacked together. The second character - 林 (lín) - is made up of two more 木 (mù) characters standing side by side. In this case, the 'forest' is quite literally made up of a bunch of 'trees'. This connection makes it easy to memorise the word and you can use a simple phrase like 'five trees make a forest' to remind yourself that 森林 (sēn lín) is made up of five ‘木 (mù)' characters. As you can see, once you have learned one character, in this case, 木 (mù), it becomes the building block for more characters that can be easily added to your vocabulary. This is a common occurrence in Chinese and it means that learning new vocabulary is not quite as difficult as it may seem at the outset. You don’t need to learn new characters every time you learn a new word. 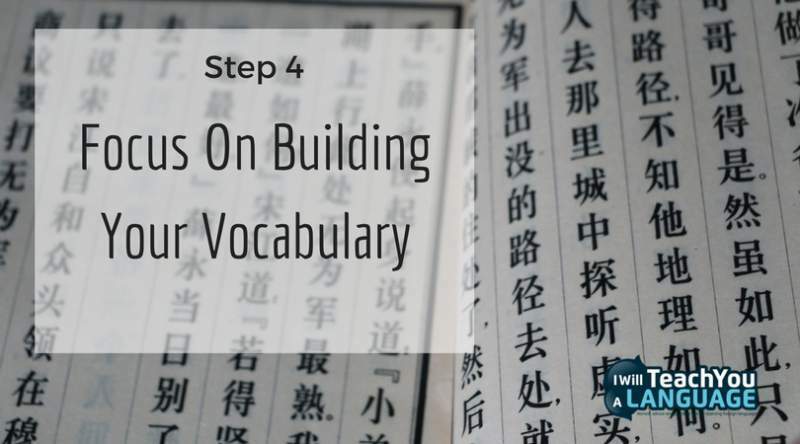 Once you’ve learned about 150 of the most commonly used characters, you’ll find that you can then use them as “building blocks” for many other words. Nowadays, learning a new language also means having to type in that language. After all, sooner or later you’re probably going to want to chat online, search for Chinese terms on google or even do work in Chinese. All of this is going require a computer, or at least a smartphone. Now you’re probably wondering: "If Chinese has thousands of characters, how on earth do they all fit on a keyboard?" Because there are so many characters in Chinese, there are simply not enough keys on the keyboard to fit all of them. Instead, Chinese is typed using the standard Qwerty keyboard via a romanization system called pinyin. Today, pinyin is favoured in China over other romanization systems due to its simplicity. As a beginner Chinese learner, you’re probably already familiar with this system. So, for example, if you want to type the word ‘forest’ - 森林 (sēn lín) - into a computer, you would simply type the pronunciation for forest using the pinyin system - ‘senlin’. Then, you can choose the correct characters from a drop down list of homonyms that will appear on your screen. If you have ever studied languages that use an entirely different alphabet, such as Russian or Japanese, you’ll know that typing in a foreign language requires practice. Often, this is because you have to relearn the entire keyboard layout which is different from the standard QWERTY that you are used to. However, the fact that Chinese uses the QWERTY keyboard with the pinyin systems means that once you have a good grasp of the language, learning to type it requires very little extra effort. Although this is partially true, there are also many similarities between Chinese and English in terms of the sentence structure and grammar. In fact, the Chinese language has no conjugations, verb tenses, or prefixes at all and very few grammar rules. Characters stay the same no matter where they are used and there are no singular/plural, feminine/masculine variations of words to remember. For native English speakers in a world where everyone is striving for fluency in English, spending time on Chinese may not seem like a wise choice. Combined with the perception of Chinese as a difficult language that takes a long time to learn, this puts many people off learning it. However, this line of thinking greatly underestimates the value Chinese has in both a business and cultural sense in the modern world. Due to the rise of China as a global marketplace, having even a basic knowledge of Chinese can open the door for amazing opportunities in your career. And if you are planning on travelling to China anytime soon, you’ll find that speaking Chinese will allow you to have a much more enjoyable and meaningful experience. This is because showing the locals that you have made an effort to learn their language is a sign of respect. As you gain an understanding of their customs and culture, you’ll find yourself rewarded for putting in the effort. If you’re focused on speaking, you could easily spend quite a lot of time learning Chinese without dipping a toe into the world of written Chinese. However, you’ll probably realize sooner or later, that learning how to write Chinese is inevitable if you want to truly master the language. Before you start learning the Chinese writing system, you should know the two types of systems that exist. Today, Simplified Chinese is the standard writing system used throughout mainland China. However, the traditional writing system is still used in regions outside the influence of communist leadership, such as Taiwan, Hong Kong, and Singapore. The history of Simplified Chinese is closely related to the political climate during the communist revolutions in China. In fact, it was adapted from the traditional Chinese writing system by communist officials. In the 1950s, as the communism was gaining popularity, the literacy rate in China was a mere 20 percent. This is because only the upper class could afford to invest in education and take the time to learn the difficult Chinese writing system. To solve this problem, the communist leaders took drastic steps to modernize China through the introduction of sweeping changes across the country. One of these major changes was the simplification of the traditional writing system into something that is commonly used throughout mainland China today. In fact, this newly simplified writing system helped raise the literacy rate of modern China to an all-time high of 96 percent. If you are planning on learning how to write in Chinese, you’ll have to choose which writing system you want to learn. The most common and logical step for foreigners learning the language is to start with the simplified system, although there are pros and cons to each system that should be taken into consideration. Simplified Chinese is easier to learn and remember, as it uses fewer strokes compared to its traditional counterpart. For example, the character for ‘horse’ - 马 (mǎ) - is written with three strokes in Simplified Chinese, while its traditional counterpart, 馬 (mǎ) requires ten strokes. Critics of the simplified Chinese writing system argue that it is not aesthetically pleasing compared to the traditional writing system. Although this is true to some degree, new learners of the Chinese characters will find the simplified system less time consuming to write and a lot easier to learn. 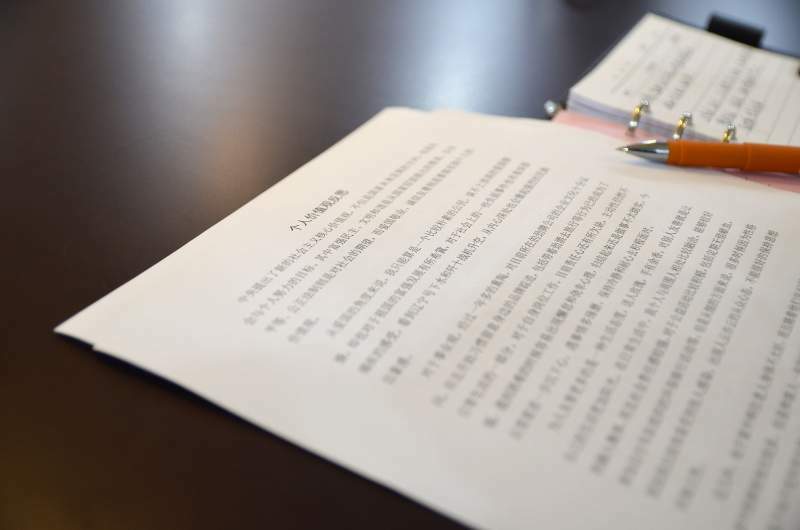 In this article, I have used the simplified writing system in all of the examples as it is the standard form used in China nowadays. 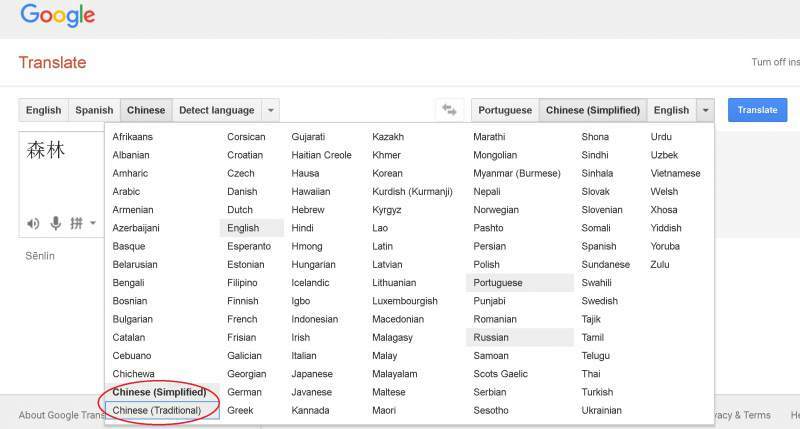 You can look up the traditional counterparts of any of the examples by copying and pasting the characters into google translate, and changing the setting from Simplified Chinese to Traditional Chinese. It is also worth noting that not all characters have a simplified version. For example, one character that is written the same way in both systems is 我 (wǒ), or me, which contains seven strokes. Keep in mind that by choosing to learn the simplified system, you are not learning the traditional Chinese characters that have been passed down over thousands of years. 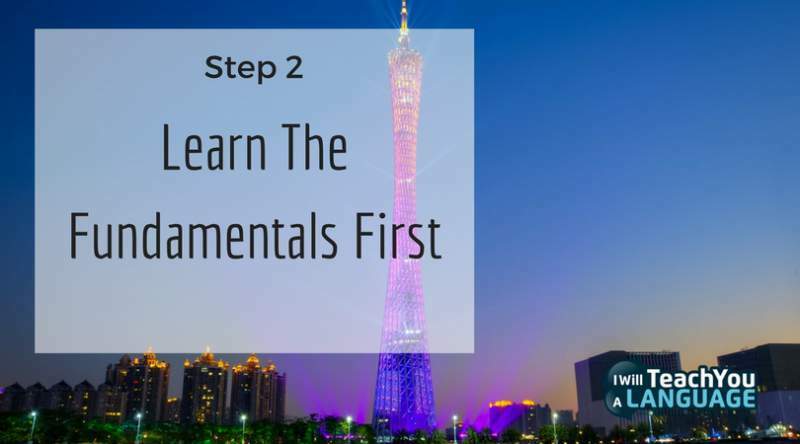 However, the benefit of learning the simplified system is that it makes the learning process a lot simpler and allows you to start reading and writing in Chinese much more quickly. No matter which system you choose to learn, traditional or simplified, the essence of written Chinese is still the same. This is because both the traditional and simplified Chinese writing systems are composed of a set of radical characters that can be combined with one or more phonetic portions to make compound characters. The character for wood - 木 (mù) - is an example of a radical. These radicals are core characters which can then be used to build other related words. So any compound characters you see that contain ‘木‘ (mù) as their radical have a meaning that is related to wood. An obvious example would be the character for ‘tree’, or 树 (shù), which is composed of the radical 木 (mù) followed by the compound characters 又 (yòu) and 寸 (cùn). Another example is the word 森林 (sēn lín), meaning forest. From these examples, you can see that complicated Chinese characters are actually made up of combinations of simpler characters. If you master these simple characters at the beginning, they become the foundation for learning more characters, which makes your journey into written Chinese a lot smoother. There is a kind of a snowball effect with each new character you learn making other new characters easier to pick up. Besides learning the radicals from the beginning, there are also a few other things that can help you master written Chinese a lot more quickly and easily. For a start, using flashcards is a great way to learn new characters. Repetition is an essential part of the memorization process and I am a big believer in having a reliable repetition system to help me practice. Flashcards are ideal for this since they allow you to learn and review words anytime, anywhere. You may find that reviewing your flashcards regularly is enough to get the characters to stick in your mind. However, it’s also a good idea to practice writing out the characters on paper in order to cement them in your long term memory. When doing this it’s good to learn the order of the strokes as well, since they are the foundation for organization systems used in Chinese dictionaries. You can master the stroke orders by looking the characters up online or following the exact orders given in your textbooks. Learn these base characters first and you’ll not only give yourself a strong foundation in written Chinese, you’ll also be able to learn additional characters much more quickly and easily. For a deeper look at the Chinese writing system, read this post. When you first start learning Chinese, it may be hard to know where to start. After all, the hardest foreign language you’ll ever learn is your first one. Once you know how to learn a language, it becomes a lot easier to make consistent progress. Tones are probably the most important aspect of learning Chinese. As a beginner, it’s easy to gloss over tones and not give them the attention they deserve. But if you do, you’ll struggle to understand people and be understood. Without them, the Chinese language becomes meaningless. To illustrate this point, let’s look at the syllable ‘ma’. As a result, mixing these two tones up can have drastic results when you are speaking, as a sentence about your mother can suddenly sound like a sentence about your horse! Now there’s a mistake that could land you in hot water fast! This is a common pitfall that I always emphasize to those trying to learn a foreign language. It’s a waste of time to aimlessly memorize vocab lists, especially as they tend to be lists of obscure words that are often not relevant to you. Instead, focus on identifying the topics you want to be able to talk about and learning the most important vocabulary you need to do so. This way you will learn useful words and speak in a more natural way. With Chinese, as with any other skill, you have to be committed to your end goal and be diligent every day in your practice. It may not seem like it sometimes, but every effort (no matter how small) adds up in the long run. To illustrate this, let’s say you start by sitting down for thirty minutes each day to learn new characters. By the end of the week, you’ll have spent three and a half hours studying Chinese - quite an accomplishment if you are working or studying full-time! By practising for even just a few minutes each day, you’ll see faster results than if you’re haphazard in your learning. You can make studying Chinese a daily habit through goal setting and by tracking your daily progress. You can also talk about your goals and plans with a study partner or friend who can keep you on the right track. This is a common mistake for learners and it’s completely understandable. It’s much more exciting to move onto something new than repeat things you’ve already studied. But repetition is an important part of learning any language. Without it, you may move on to the advanced material faster, but it’s like building a house on sand. Without the strong foundation you build by repeating and mastering the basics, you won’t be able to get very far with more difficult material. The extra time you spend repeating vocabulary is what will help it really stick in your memory so you don’t end up tongue-tied when it’s time to speak. Perhaps you’re feeling excited and ready to start learning Chinese but are unsure how or where to start. Let’s look what you should be doing as a beginner to take your first steps. Getting a good textbook is key to unlocking the powers of a new foreign language. You can find one by going to your local bookstore, borrowing from your local library, or ordering one online. I personally find it helpful to go to my local library and borrow as many language textbooks as I can to go through at home before I commit to buying a particular one. Not only do I save money this way, I can also research what types of books are out there and choose which style best suits my needs. 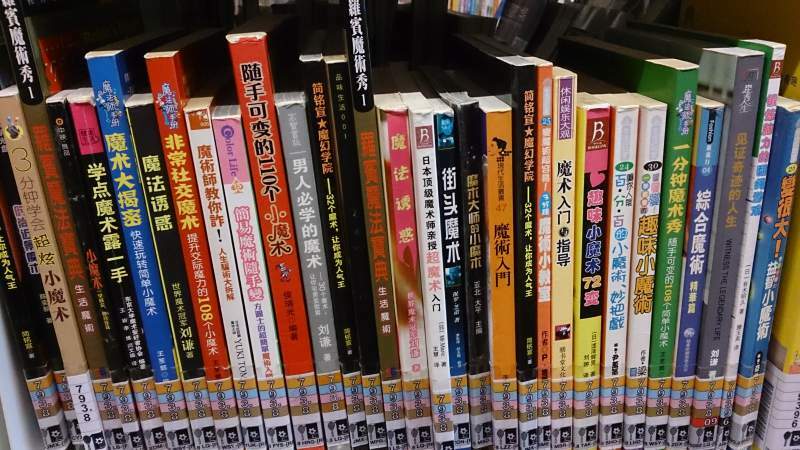 Choose a book with plenty of dialogues and audio, so you can spend as much time as possible listening to spoken Chinese. Try and find something that gets you excited. The more motivated you are to sit down and learn the better. It’s important to have a strong foundation in the basics of the language before you try to tackle more difficult material. In Chinese, tones are perhaps the most fundamental part of mastering the language. If you are a native English speaker, chances are you won’t have come across tones before, so it will take you some time to get the hang of them. You should start by focusing on tones and really mastering each one. This is best done through lots of exposure to the language combined with practice speaking. Chinese is very different to English, so you've got to spend tonnes of time simply listening and reading in order to get used to the language. Give yourself a few months of broad exposure to the language, so the sounds and systems of Chinese can start to bed down in your brain and become familiar. Another important language building fundamental is building your vocabulary. The more words and phrases you know, the easier it becomes to understand the language as words and phrases are the building blocks of communication. Learning key phrases means mastering those structures commonly used in everyday life, such as ‘hello’, ‘goodbye’, and ‘how are you?”. These phrases are the key to opening up new conversations with potential language partners because they allow you to make basic introductions about yourself. To get you started, I have created a guide with expertly selected phrases to master the basics of survival mandarin. You can find it in the resources section of this post. As you learn more of these phrases, you can start to string them into longer sentences so you can participate in conversations with other speakers you meet. In order to speak and understand Chinese you're going to need words - and lots of them! Focusing too much on grammar or learning characters can paralyze you during your early attempts to speak the language. This is why I am a big advocate for really focusing on learning useful vocabulary and putting these words or phrases you have learned into conversation practice. By putting your focus on building vocabulary above all else, you learn to express your thoughts as best you can, and feel less feel self-conscious about making mistakes. Thankfully, with Chinese, there's very little grammar to learn since the language does not have many grammar rules, to begin with. This makes it easy to focus on building your vocabulary from the very beginning because you don't have to spend hours figuring out rules for how to use the new words you learn. The final and most important step in learning any language is that you must practise using it. This is obviously the key to improving your spoken Chinese but it’s also important if you want to better your pronunciation and listening skills. You can search online for language meet-up events or look for conversation partners on sites like conversationexchange.com (I find face to face language exchanges tend to be more serious and last longer). 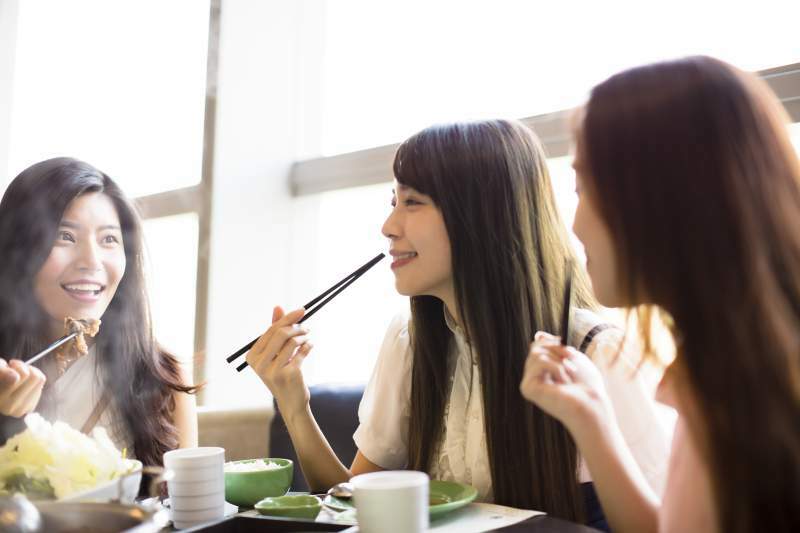 You may also be able to find native Chinese speakers in your local community by joining a local language exchange group or looking for cultural events. Or, if you prefer, you can always use a site like italki to hire a private Chinese tutor for an affordable hourly fee. No matter what you do, choosing to practice with a native Chinese speaker will greatly improve your own Chinese speaking skills and allow you to start having real, life-changing experiences in the language. There is a very wide variety of materials available for helping English speakers learn Chinese. To close out this article, I’m going to provide you with recommendations for some of the best materials I've come across for learning Chinese. 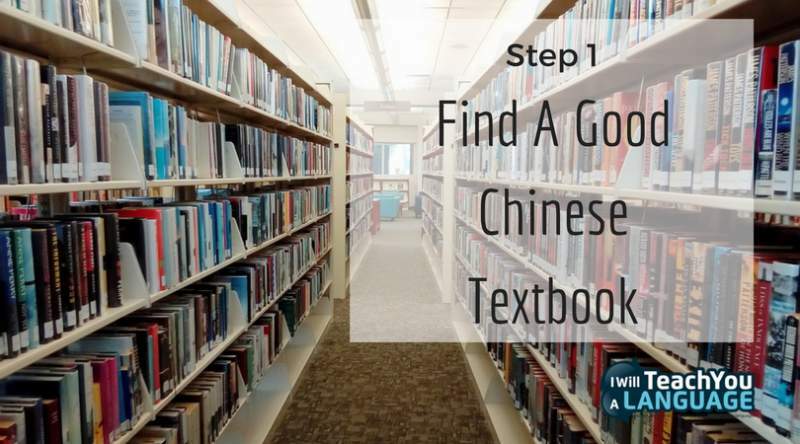 Whether you plan to learn Chinese online, or you prefer to use traditional materials, I'm confident you'll find some great resources here to help you get started. 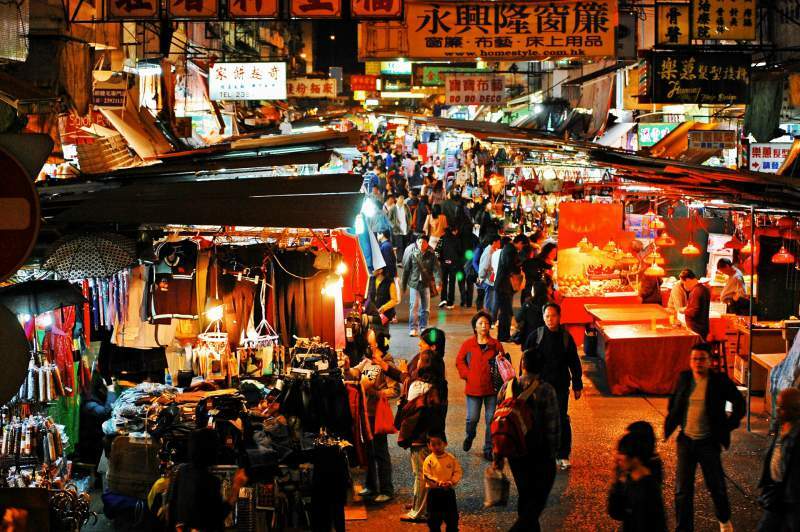 Survive in Chinese - Travelling to China or Taiwan? 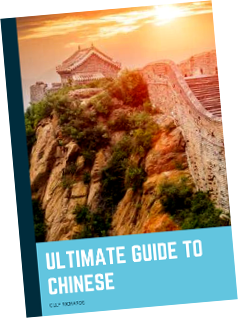 With my popular guide, you'll learn survival Chinese in 2 weeks or less - guaranteed! This is the perfect guide for beginner's who want to get started in the language or travellers who need to learn the basics fast. C hineseClass101 - A comprehensive online Chinese course, with lots of great dialogues and other material to help you learn natural Chinese. My favourite part is the "line-by-line clickable dialogues" which are great for learning to understand fast spoken Chinese. italki - This is my favourite website for finding teachers and affordable tutors to help practise my Chinese. I use italki literally every day to get that all-important speaking practice that helps me stay fluent. Conversations - Do you struggle to understand fast, spoken Mandarin Chinese? Conversations helps you understand real Chinese & transform your listening skills in less than 90 days. Glossika - Glossika Mass Sentences is an incredible resource for serious Japanese learners who want to learn to understand and speak their new language quickly. I use Glossika with every new language I learn, and it helps me get used to all the different sounds and grammatical structures of the language. FluentU - FluentU is an extensive library of Chinese videos, with interactive bi-lingual subtitles, looping functionality, a hover-dictionary ... and much more! If you love watching Chinese TV and movies, you'll love FluentU. Skritter - The app used by the experts to learn to write Chinese characters. The Skritter app is so addictive, you won't want to stop practising. You'll learn to master the stroke order and soon be comfortable writing hundreds of Chinese characters. HelloTalk - HelloTalk is one of the few language learning apps I actually use and recommend! With a user base of millions of people, you can quickly find friends to start practising with! It's worth upgrading to the paid version of the app to get access to all the cool translation features. Pleco - The world's best Chinese Dictionary App. Look up words on the go or during your Chinese conversations with this handy and comprehensive Chinese dictionary. Now You Are Ready to Start Learning Chinese! Chinese is a very rewarding language to learn, and it’s a lot easier than you may realize. 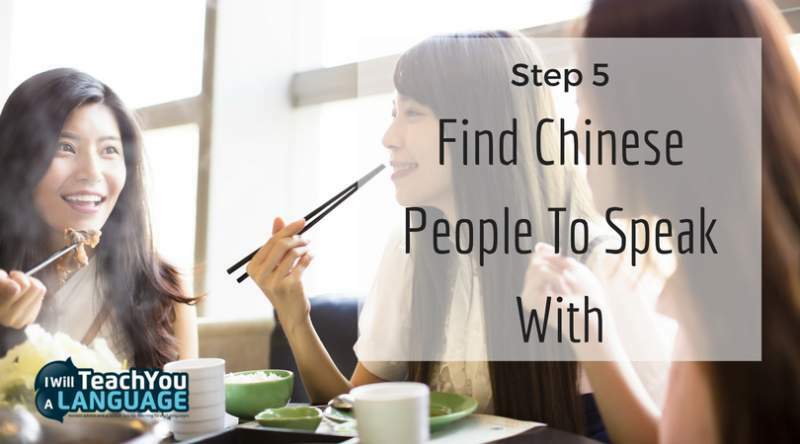 Not only is learning Chinese is a rewarding process that opens doors for your career, it also enables you to make meaningful connections with the people around you - be it on your travels in China or in your local community at home. When you learn Chinese, you’re learning more than just a new language. You’re learning about a unique culture - different from your own. You’re gaining an insight into an ancient country that’s becoming a modern global power. And you’re opening yourself up to communicate in a meaningful way with millions of people across the globe who speak the Chinese language. All your hard work and determination will pay off big time when you’re having real, life-altering conversations with Chinese people you could never have communicated with before. So what are you waiting for? There is no better time than now to get started! I hope you’ve found this post helpful! I know this is a long post and it’s difficult to take everything in all at once. That’s why I’ve created a special PDF version which you can download and refer to any time you need it! And if you download the PDF, I’ll send you even more tips to help you as you continue learning Chinese. Click here to download the PDF version of the article and receive more great language learning tips for free. I've created a range of high-quality learning materials to help you achieve fluency in Chinese, whether you're at the beginner, intermediate or advanced level. Do you struggle to understand fast, spoken Mandarin Chinese? Conversations helps you understand real Chinese & transform your listening skills in less than 90 days. Travelling to China or Taiwan? With my popular guide, you'll learn survival Chinese in 2 weeks or less - guaranteed! This is the perfect guide for beginner's who want to get started in the language or travellers who need to learn the basics fast.